A lot of dealers say "Must see!" 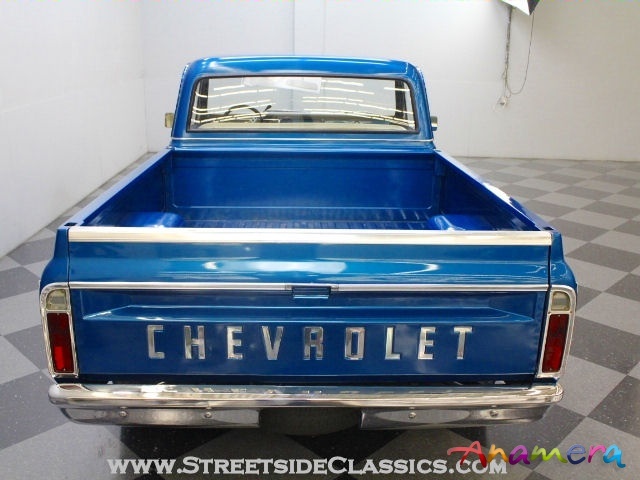 in their ads, but this 1971 Chevrolet C10 pickup is one of those cases where it probably matters. 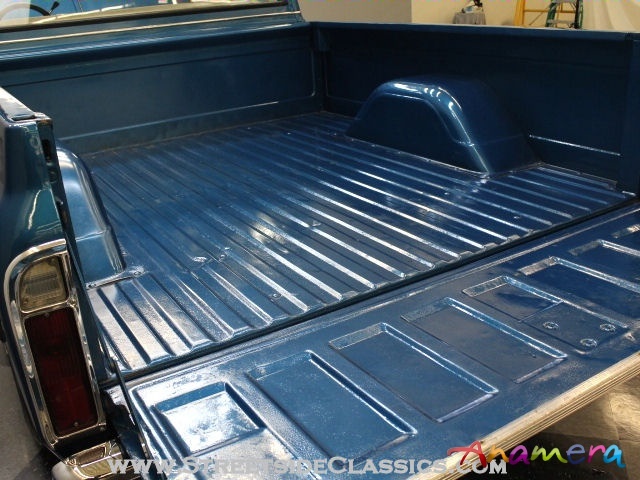 While the photos show a handsome blue truck, the actual finish is called Pacific Green, a [ahem] Ford color that has a ton of prismatic and metallic elements, making it appear blue or green depending on the lights. In our studio, yes, it's most certainly blue, but out in the sun, it's a dazzling turquoise. Cool? You'd better believe it! The odometer shows just 61,505 original miles, and there's no reason to doubt it. The bodywork is in great condition, indicative of an easy life somewhere warm, and the repaint a few years ago was simply a matter of fashion, not necessity. 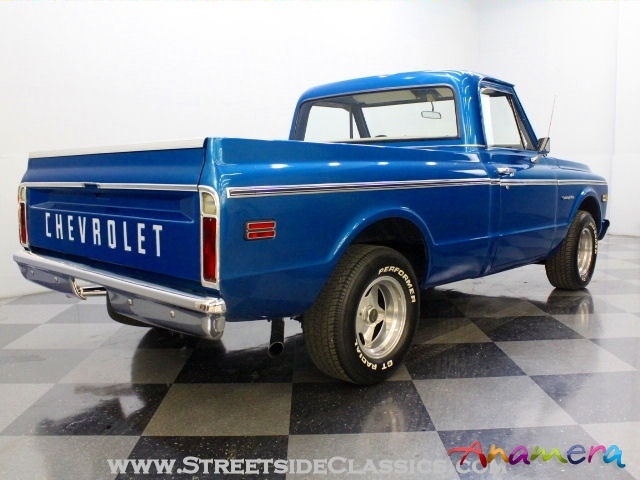 We see a lot of these trucks, and it's clear that they're becoming A-list collectables, but even if you're just looking for a neat truck to drive around, this one is an excellent choice. 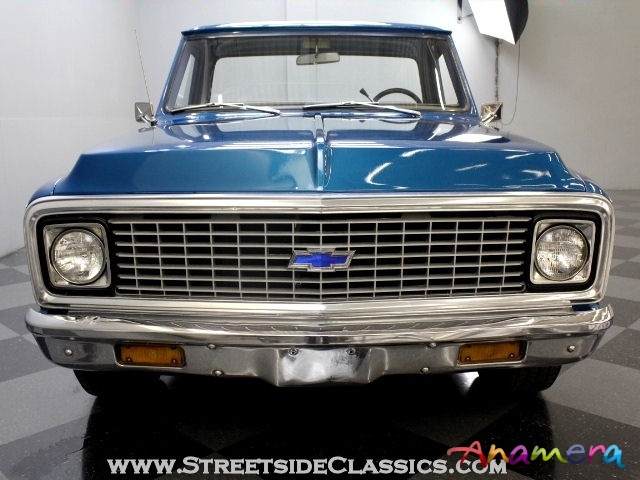 The original grille, along with all the factory-issued stainless trim, was reinstalled and thanks to the truck's low mileage, needed virtually zero reconditioning to look as good as it does today. 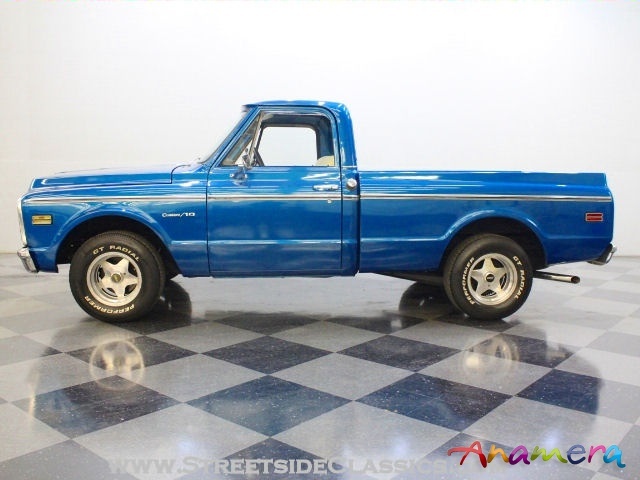 Overall this truck has an honest, rugged look that's extremely appealing. 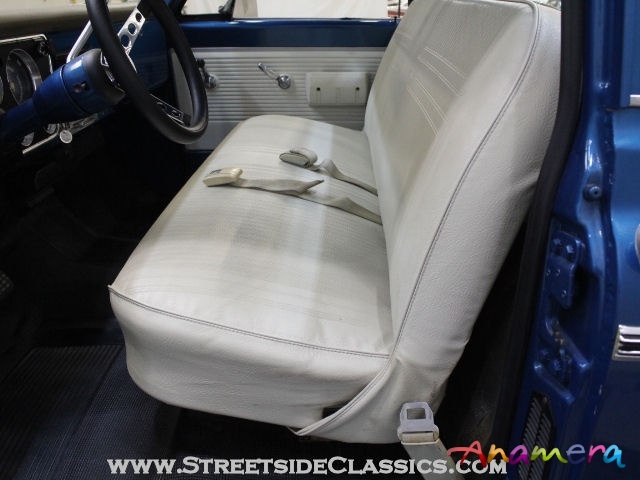 The really cool thing about this C10 is that it has its original Parchment interior. Not only is Parchment extremely rare in a pickup (you know, where things tend to get dirty), but this truck retains all its original pieces. The seat is firm and supportive, the door panels are not covered with shoe scuffs, and the original dash pad hasn't been baked like a potato by the hot sun. 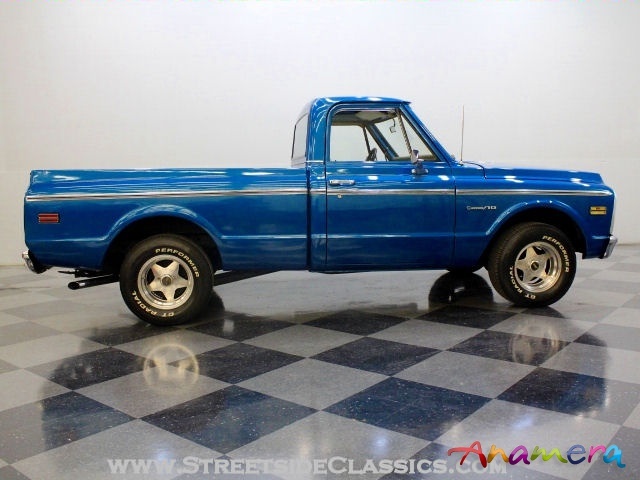 The original gauges remain in place and are fully functional, and the steering wheel has been upgraded to a fat, small-diameter piece that works with the truck's sporty demeanor. 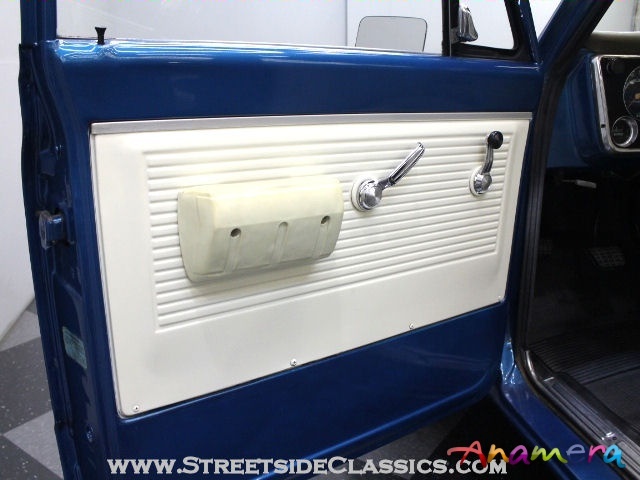 A newer Audiovox AM/FM/cassette head unit has been fitted in the original radio's location, and the installation is clean, so there is no hacked-up dashboard to contend with. And yes, that's the original 3-on-the-tree transmission-too cool! 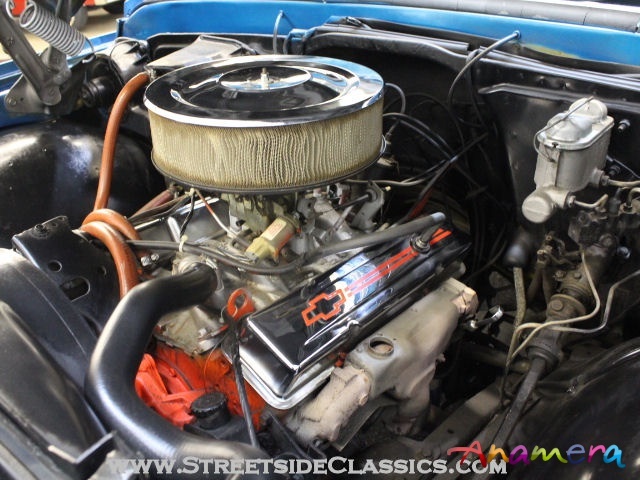 Under the hood is the original, numbers-matching 307 cubic inch V8, and with just over 61,000 miles on the clock, it would be a crime to open it up and rebuild it. 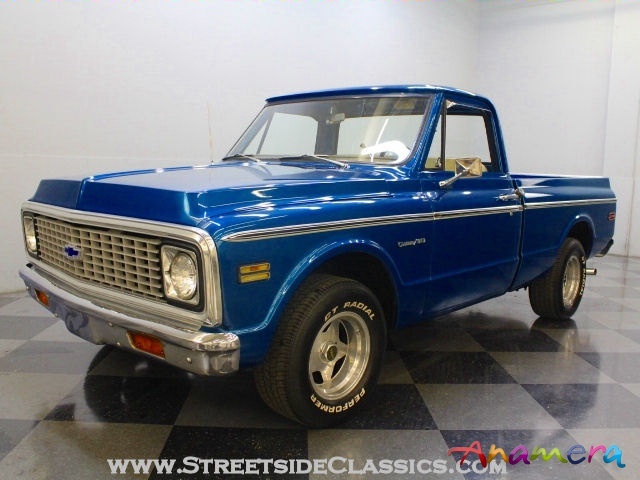 Nothing runs like a factory original engine, and this one makes all the right sounds, thanks to a dual exhaust system with new mufflers. 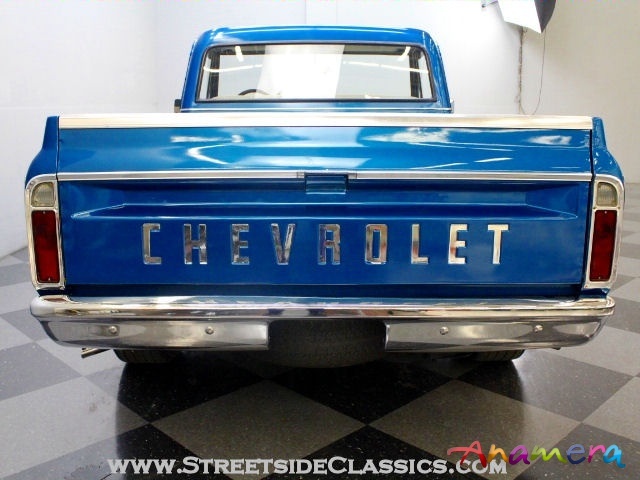 The block wears a coat of Chevy Orange paint that might just be original, a pair of bright chrome valve covers, and a set of correct "ram's horn" exhaust manifolds. It's a strong runner, and with the manual transmission, it feels downright sporty. Undoubtedly, those fat 275/60/15 radials on American Racing aluminum wheels help, but these are some great-driving trucks. 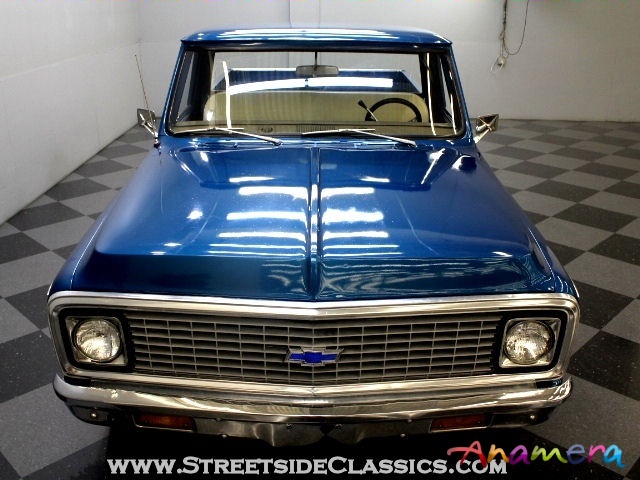 This is a great-looking, nicely preserved C10 that drives like a new truck. Call today! This vehicle is located in our Charlotte showroom. For more information, please call (704) 598-2130 or toll free (866) 542-8392.